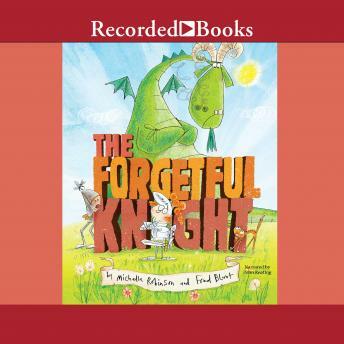 This hilarious, Monty Python style sendup of the classic knight-and-dragon story comes with jaunty rhymes and a fabulous twist ending. Mischief! Mishaps! "Dragons!" Here's the story of an intrepid knight, only our narrator can't quite remember the details. Did that knight carry a sandwich, or a sword? Was he supposed to fight a cat, or a dragon? A hilarious and unpredictable adventure ensues, building through laugh-out-loud rhymes until, at last, the narrator remembers his own role at the center of all the marvelous madness. Fans of Jon Scieszka's "The Stinky Cheese Man," David Ezra Stein's "Interrupting Chicken," all of Patrick McDonnell's and Mac Barnett's picture books will love this zany read-aloud adventure.